Mainsail Lodging & Development is a dynamic, established company that enjoys the flexibility and agility of an entrepreneurial start-up. President Joe Collier and his leadership team have created a high-performing environment that emphasizes collaboration and communication between employees, partners, and investors. 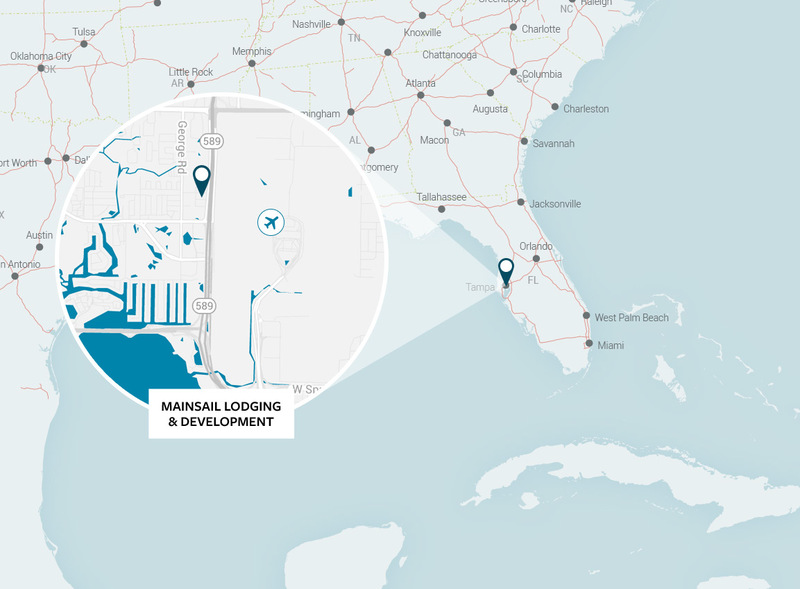 Founded in Tampa, Florida in 1998, Mainsail Lodging & Development was created by Joe Collier with a combination of daring vision and dogged determination, supported by a group of enterprising investors. Our story is longer than a sonnet, but shorter than a Tom Clancy novel. We are passionate. We are diverse. We are committed to excellence. And we’ve been known to have a few laughs together. Leveraging years of hospitality experience, the Mainsail team features a depth and breadth of knowledge that ensures projects are well-positioned for success and profitability. Mainsail Lodging & Development is a Tampa, Florida-based company specializing in hotel, corporate furnished housing, and resort property management and development, marketing and sales. Mainsail prides itself in seeking unique lodging opportunities with a purpose. We believe in authentic experiences and genuine conversations. We invite you to get to know us, and through us, our company. This is where it gets real.